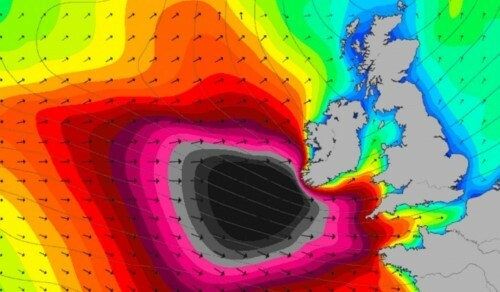 The Biggest Swell of the season hits UK and Europe this Weekend. With Swell well over 20ft in some areas. Unfortunately the wind is not playing ball, with most surf spots being completely blown out with 50/60 mph gale force Westley Winds. Comparisons are already being made to the awesome Hercules Storm that hit us back in January 2014. Fond Memories flood back of the narly sessions of the lucky few that managed to bag a few days of surfing in epic conditions. Unfortunately the wind this time has other ideas. 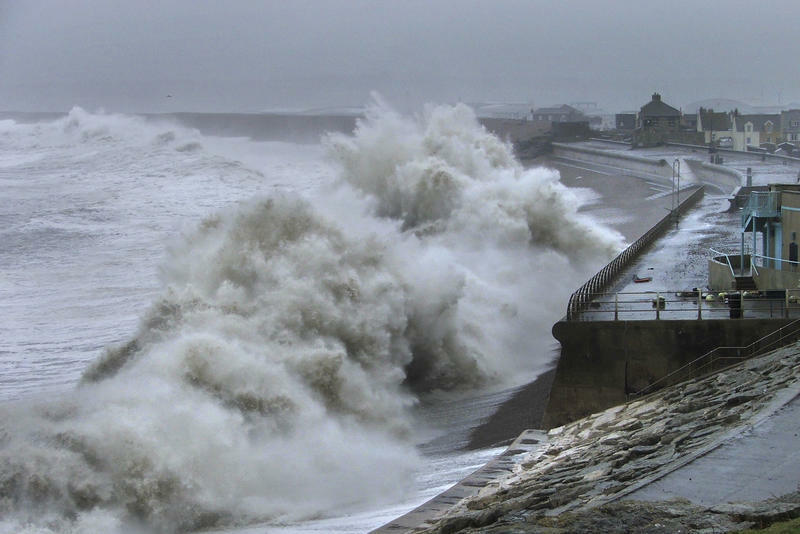 So our advice is not only don’t go out but seek shelter and enjoy the power of mother nature from a safe distance,, preferably in a pub.